Amanda Price adores all things bug-related — from spiders to mantises — like, seriously loves them. Unfortunately most of her fellow sixth-graders do not share her invertebrate obsession. They're grossed out by it. Especially Amanda's ex-best friend, Emily, who thinks Amanda is creepy weird. 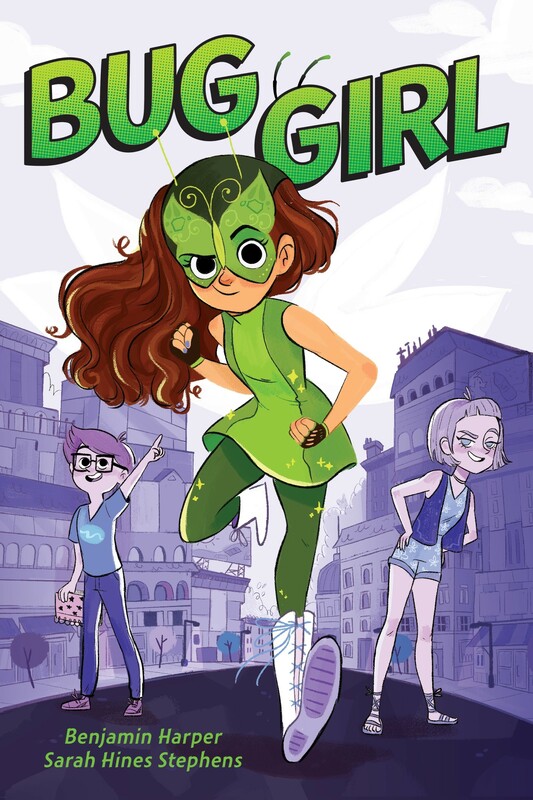 But when mysterious invaders menace the town of Oyster Cove and take both Amanda and Emily's mothers captive, Amanda unexpectedly develops amazing insectile powers! Newly equipped with antennae and a glistening exoskeleton she uncovers a secret that changes everything. 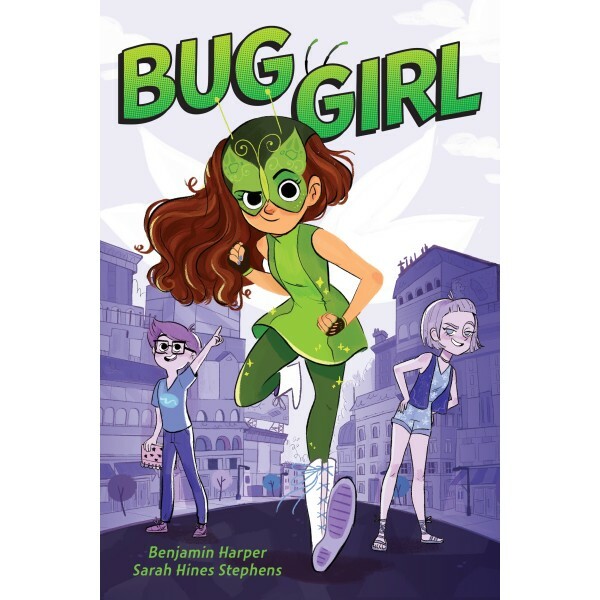 Sarah Hines Stephens and Benjamin Harper's Bug Girl is a funny and action-packed middle-grade superhero adventure with a beautifully designed two color interior and sidebars featuring real bug facts!